There's a lot of power lurking under the hood of the Mac’s Spotlight search index, but that’s also the trouble. To make Spotlight accessible to more users, many of the feature’s most useful tools are hidden behind menus and special search syntax. HoudahSpot takes a different approach that makes it easier to access the power of Spotlight. 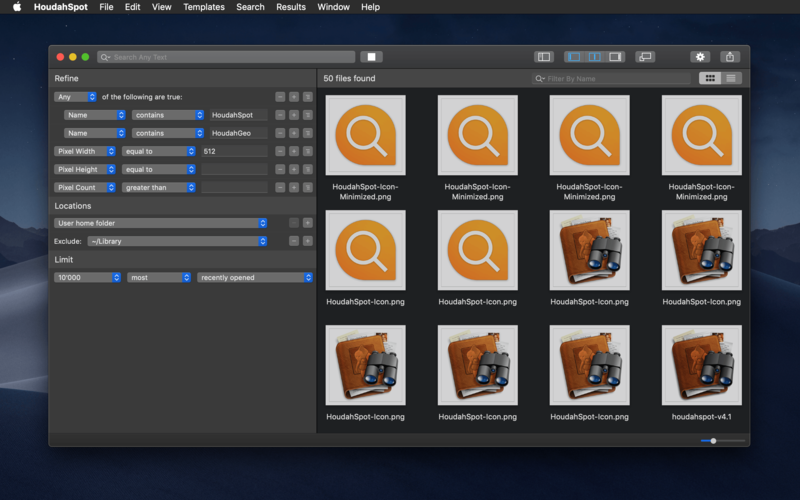 The app surfaces Spotlight’s advanced file search functionality and couples it with its own layer of tools to extend what Spotlight can do. With version 5, the app has been reexamined from top to bottom adding new features and refining the entire experience. The result is a terrific update that maintains HoudahSpot’s position as one of the premier pro utilities on the Mac. Apple subsidiary Beats has announced the Powerbeats Pro, $250 H1-powered workout-oriented headphones that dispense with all wires. Apple purchased Beats in 2014 and has incorporated some of its technologies like the W1 chip into its Powerbeats and Beats Solo3 headphones, but until now, Beats didn’t offer headphones that competed directly with AirPods. The Powerbeats Pros aren’t entirely a surprise. As Guilherme Rambo reported for 9to5Mac last week, iOS 12.2 includes hidden images of the Powerbeats Pro headphones. However, the new headphones’ official announcement provides additional details. The Powerbeats Pros will be available starting in May in the US and 20 other countries and come in four different colors: black, ivory, navy, and moss. The water and sweat resistant Pros are a significant step up from the existing Powerbeats because they are truly wireless in the same way AirPods are wireless. Unlike the original Powerbeats, which will continue to be available and have a wire that connects one ear to the other and wraps around your head, the Pros are independent wireless headphones that benefit from the quick connectivity afforded by the H1 chip. The Powerbeats Pro also include physical controls and charge via a Lightning connector using an AirPods-like charging case instead of the micro USB connector used in the Powerbeats model. However, unlike the latest iteration of AirPods, Powerbeats Pro do not support wireless Qi charging. Also, the H1 chip means that the Powerbeats Pro headphones can be controlled with ‘Hey Siri’ commands. There are four sizes of headphone tips to fit a range of ear sizes, and the earhook that wraps around your ear is adjustable. Beats says that the new headphones have up to 4 hours more battery life than AirPods for a total of 9 hours of playback time, which exceeds 24 hours when charged using the case. The Verge got early access to the Powerbeats Pro and has a hands-on review of the headphones. The assessment by Chris Welch is generally positive, and although I haven’t had the opportunity to try the Powerbeats Pros yet myself, they look like a good option for anyone for whom AirPods don’t fit well and who works out regularly. That said, at $250, the Powerbeats Pros are pricey compared to competing third-party products, so it’s worth considering other available options before purchasing the Pros. Today, HandCircus, the creator of Rolando, has released an excellent remastered version of the classic iOS game called Rolando: Royal Edition. If you were playing iOS games in the early days of the App Store, you are probably familiar with Rolando. The game wasn’t on the Store day one but came a few months later at the end of 2008. Rolando was one of the early break-out hits on the App Store. The game was downloaded by millions of fans worldwide who loved its colorful, round characters. 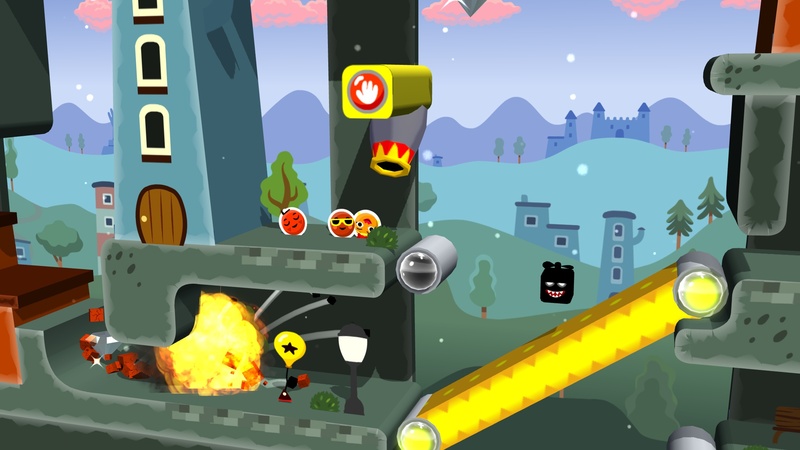 Rolando was also one of the first games to incorporate the iPhone’s accelerometer into its gameplay in a way that was tightly integrated with the game instead of feeling gimmicky. However, the original game was a victim of Apple’s 2017 transition to a 64-bit architecture. Although many cherished classics were updated in time, a large number of games fell by the wayside. Until today, one of the most beloved of those titles was Rolando. The Caffè Macs pizza box was already something of a legend, but now it has its own Apple video too. Earlier today, Apple posted a three-minute video title ‘The Underdogs’ which tells the story of a group of co-workers who stumble into the opportunity to pitch their idea for a round pizza box to their bosses. One of the group is rear-ended in a company parking lot at the start of the day. To make amends, a meeting to pitch the box is arranged. The quartet of co-workers gets to work turning a simple sketch of a round pizza box into a finished product in a few days’ time. They use a combination of Macs, iPhones, iPad Pros, and the Apple Watch running a variety of apps including Microsoft Office apps like Excel, a 3D-design tool, and an AR app to get the job done. The video closes with the tag line ‘This is Apple at Work’ as the group jumps into an elevator on their way to make their presentation. The video is nicely done capturing the frantic pace of a the group as they try to make the most of the opportunity presented to them. As Cabel Sasser of Panic notes though, what’s even better about the video is that the pizza box they design is the same pizza box that Apple patented and uses at its Caffè Macs cafeteria at One Infinite Loop in Cupertino. Apple’s patented pizza box has been featured before including in a 2017 feature onThe Outline. ‘This is Apple at Work’ is featured on a special Apple at Work webpage on Apple.com that showcases how its products can be used in a collaborative work environment. The page walks through each stage of the design of the pizza box and the tools the team in the video uses to create it. The six-part feature even includes a downloadable USDZ augmented reality file of the pizza box featured in the video. I like this video a lot. It does a great job of telling a compelling story in just a few minutes that’s relatable to a wide audience and demonstrates how Apple believes its products can help solve everyday problems faced by people at work. Whether or not the lives of this quartet of co-workers parallels yours, this is a video worth watching for its sheer comedic entertainment value. 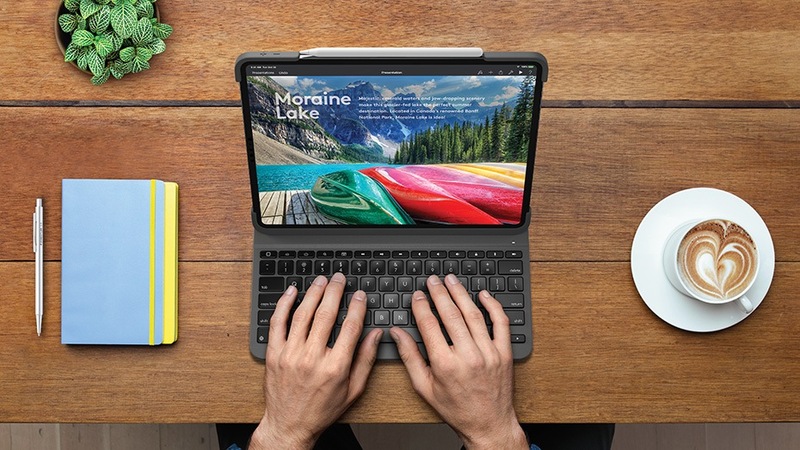 Logitech has announced new keyboards for the 11 and 12.9-inch iPad Pros that it calls the Slim Folio Pro. The keyboard cases cost less than a comparable Apple Smart Keyboard Folios and include features that Apple’s cases don’t, but Logitech’s offerings come with their own set of trade-offs. On this week's episode of AppStories, we cover pro iOS audio, photography, video, and art apps that stretch the platform and discuss where the OS is holding them back. Linode: High-performance SSD Linux servers for all of your infrastructure needs. Get a $20 credit. KiwiCo: Hands on learning and experience-based play. Get your first crate free. 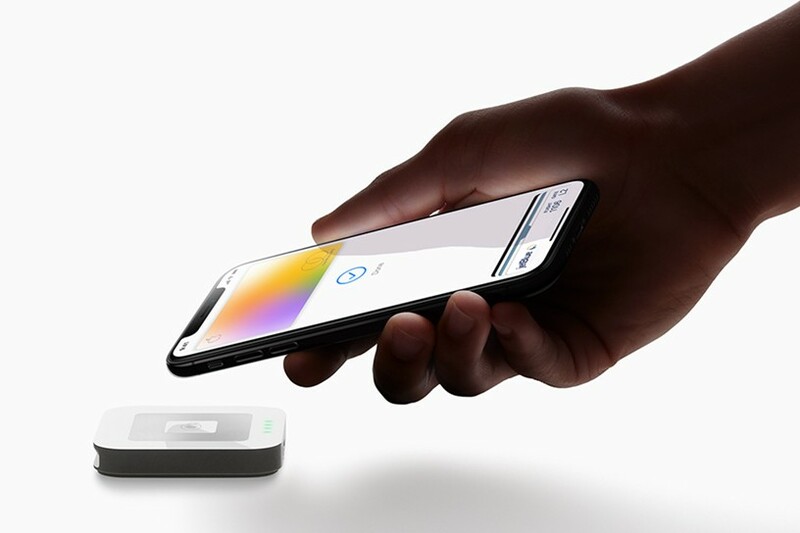 The Apple Card has been the subject of a lot of attention and speculation since it was announced at Monday’s Apple event. 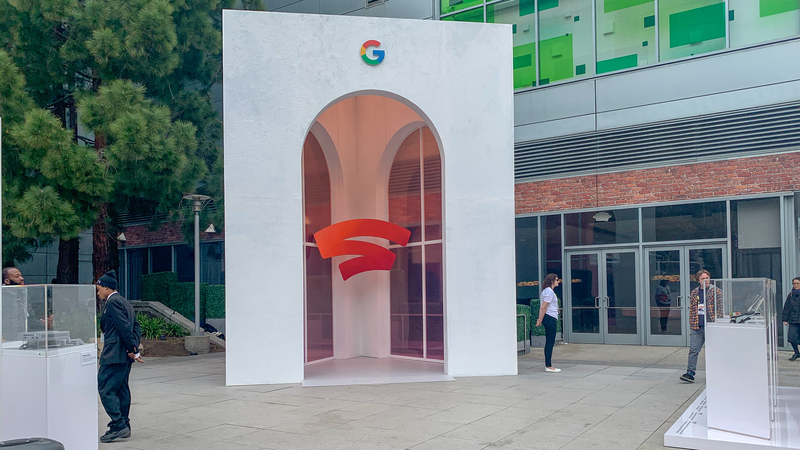 The US-only card won’t be out until this summer, but Matthew Panzarino, TechCrunch’s Editor-in-Chief, has details on exactly how the card will work that weren’t covered during the keynote. Overall the Apple Card has some relatively unique and interesting takes on data transparency for users, who are getting what appears to be an information rich but easy to interpret interface that rivals the best apps (like the AMEX app) out there for consumer cards. It’s also got a solid set of security features that are missing only a couple of small improvements like per-merchant or per-transaction numbers that would make them the best offering in the industry. The security and financial tracking the card will enable is attractive and the cash benefits are competitive, but there are limitations that may be an issue for some potential customers. For instance, the Apple Card is a single-user card, which means multiple family members cannot use the same account. Panzarino’s piece clears up misinformation that has spread since the keynote and uncovers other tidbits that make it easier to compare the new card side-by-side with competing offerings. If what you’ve heard about the Apple Card interests you, Panzarino’s article is an excellent one-stop destination to learn more. On this week's episode of AppStories, we continue our discussion of iOS 13 wishes, this time focussing on HomeKit and Shortcuts. Luna Display - The only hardware solution that turns your iPad into a wireless display for your Mac. Use promo code APPSTORIES at checkout for 10% off. MindNode - It starts with your thought.